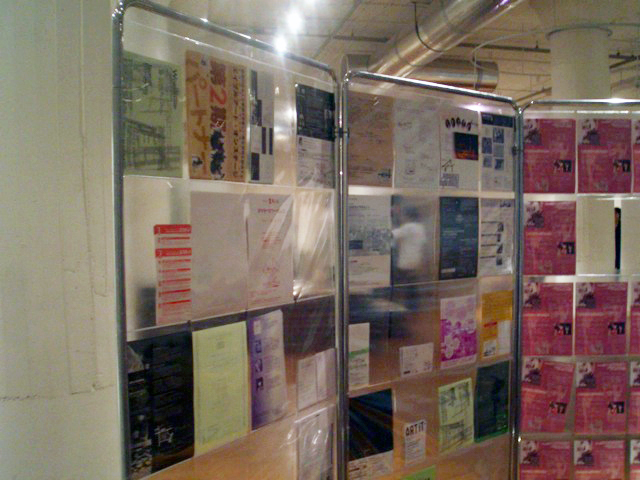 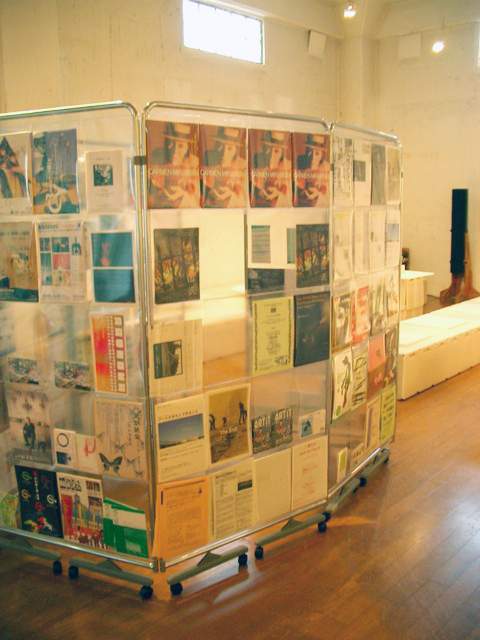 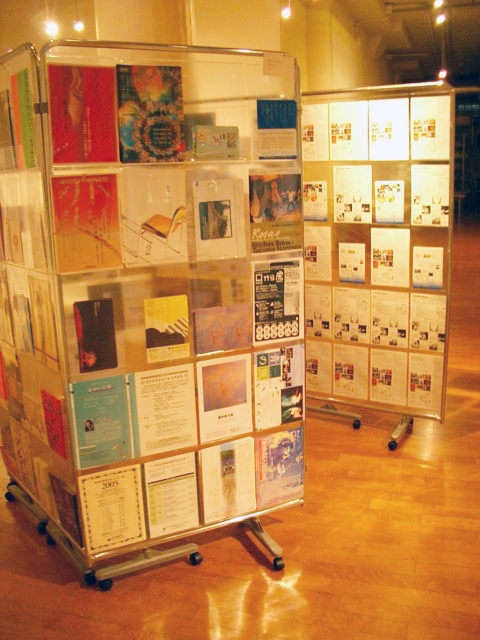 This is a fixture for the efficient storage and easy visibility of fliers placed around the entrance to an art gallery. 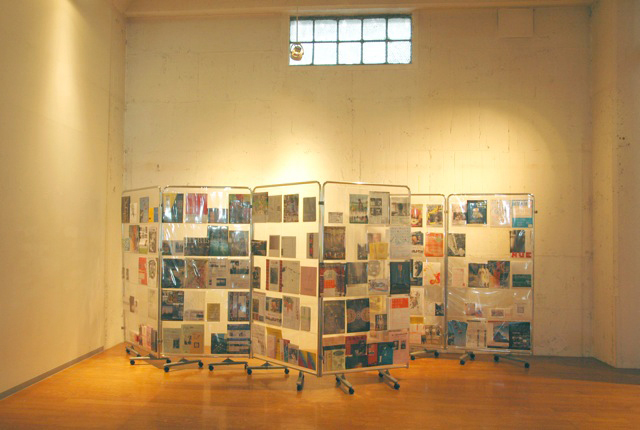 Vinyl sheets have been installed in existing movable partitions. 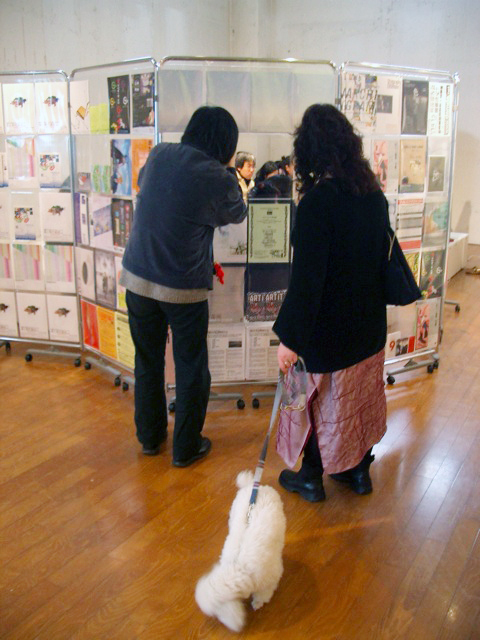 The arrangement of the fliers creates its own expression. 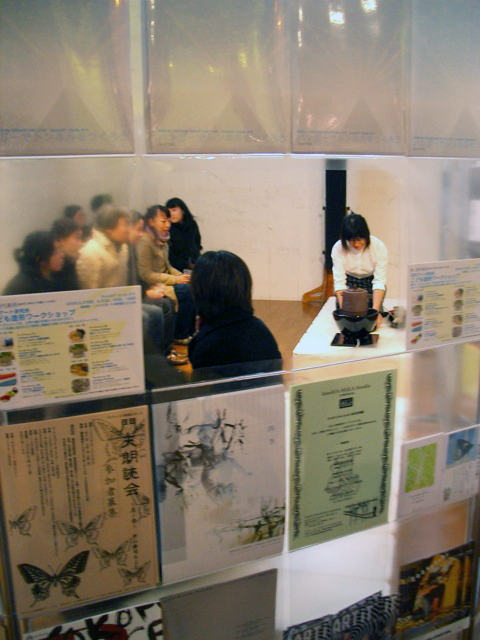 As it is transparent both sides are readable.